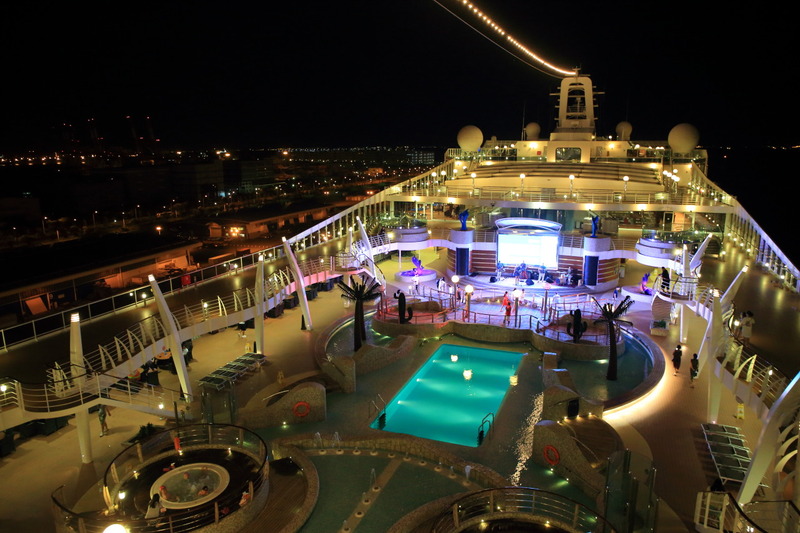 "MSC Cruises"Luxury cruise ship navigating the" MSC splendida (MSC Splendida) "Waiting time before departure、Let's Board dinner while watching the beautiful night celebrates the evening! 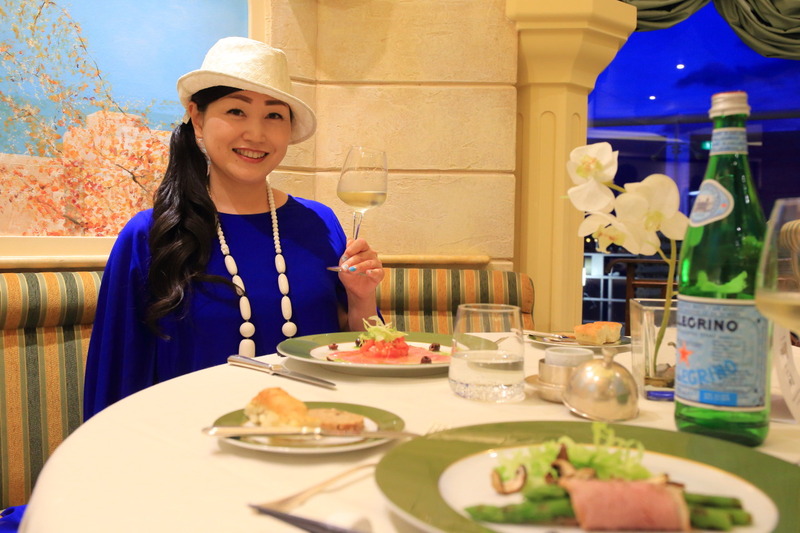 On this cruise、There are buffet restaurant available to free users、 In addition "MSC Yacht Club(Yacht Club) ",、Exclusive members-only restaurant will be added! 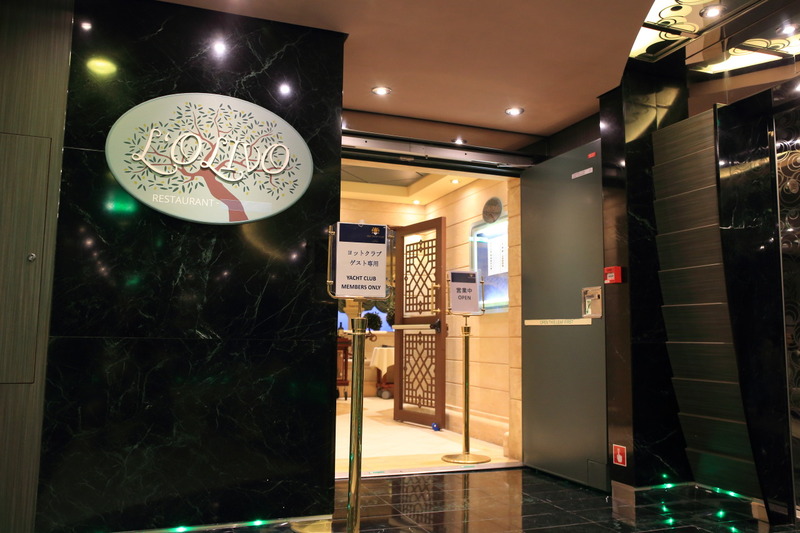 The dinner of the first day、Dedicated Yacht Club "L & # 8217s; OLVO RESTAURANT Lorie Bo" we have available! 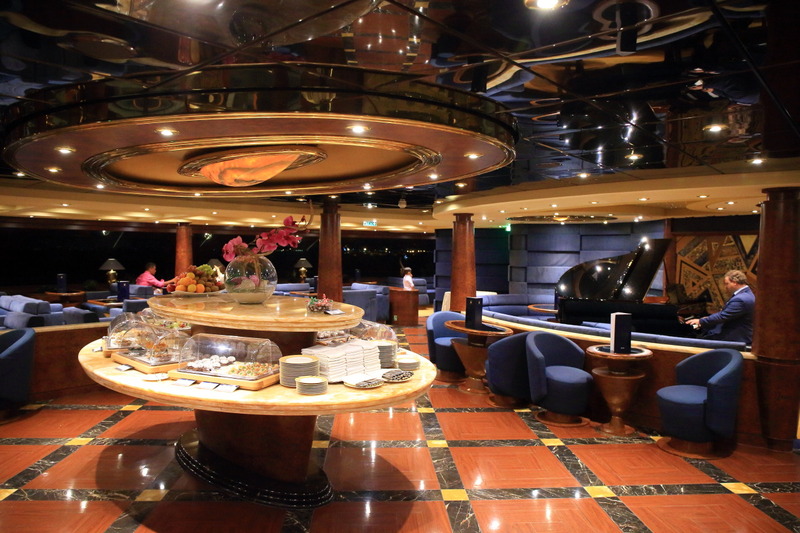 In the ship's restaurant and events、Dress code is provided in each Gala (formal)、Informal (informal)、Casual (casual)、Are divided into four "Theme (theme)! * Strict adherence is not! 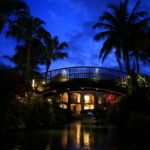 Lorie Bo restaurant dress code is Informal (informal)! 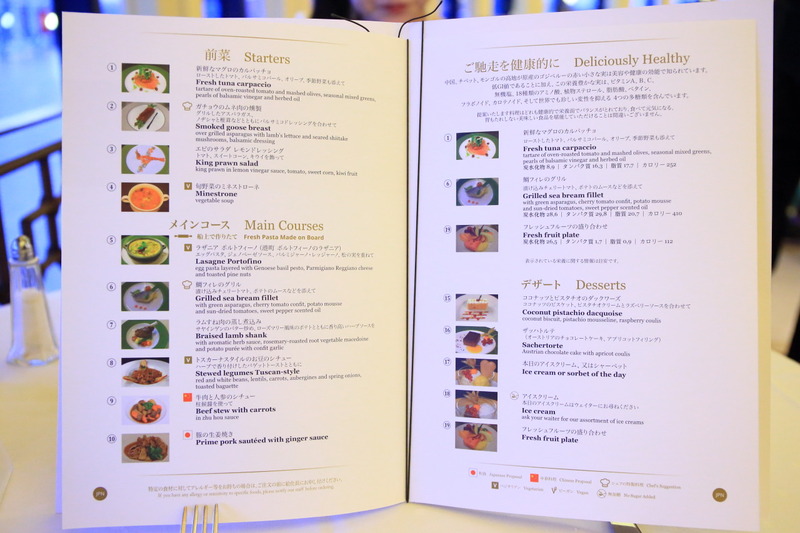 Entrees from the Mediterranean cuisine appetizers、Can be ordered à la carte and desserts、In addition、The percentage of passengers bound for Shanghai here、Due to the overwhelming Chinese and Japanese guests、China、Japan food available。The menu is、Japan language also has the peace of mind! 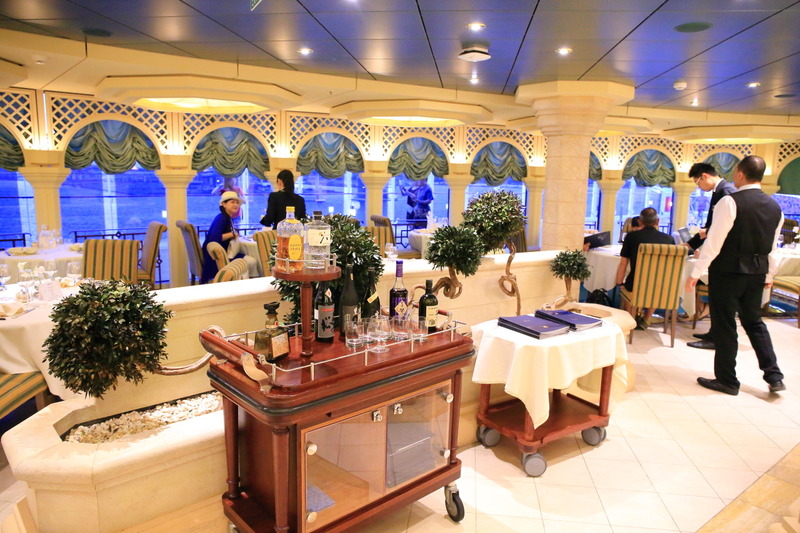 As one of the perks of the Yacht Club is happy、Not to mention the meals in their restaurants、Drinks containing alcohol are included, free of charge! 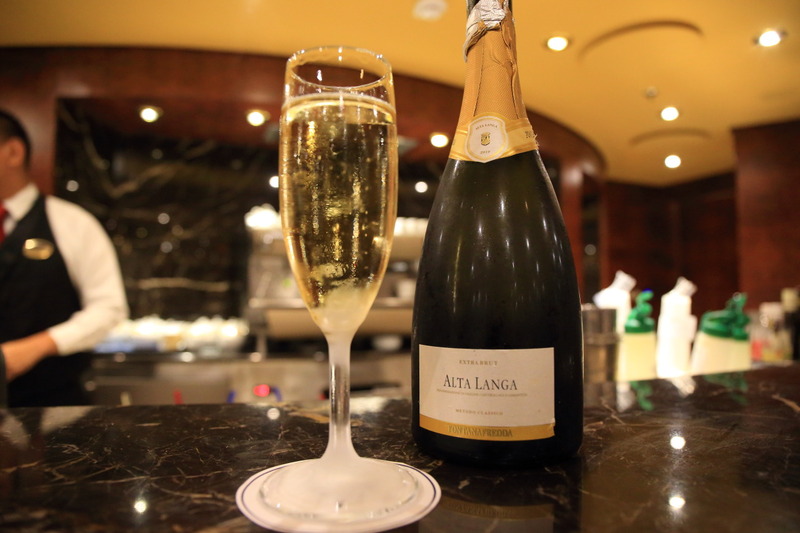 Because it already is spumante lots of company、In a refreshing Chardonnay toast! 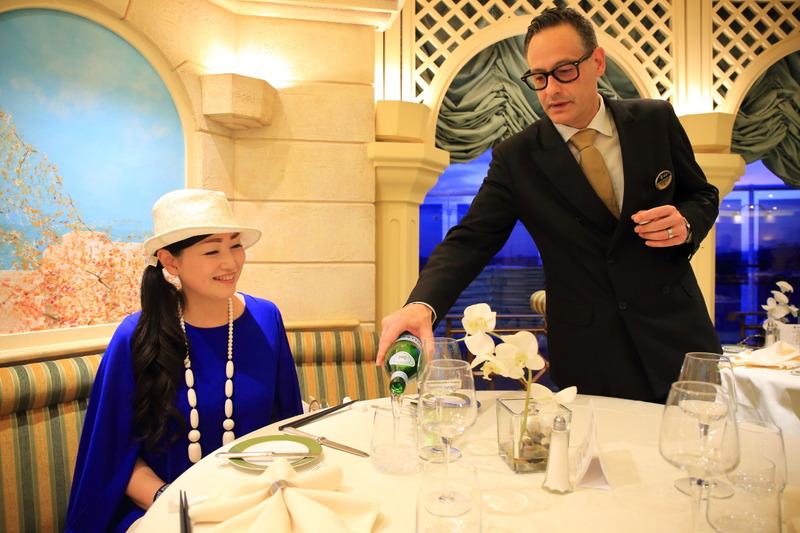 Italy ship may still、San Pere! 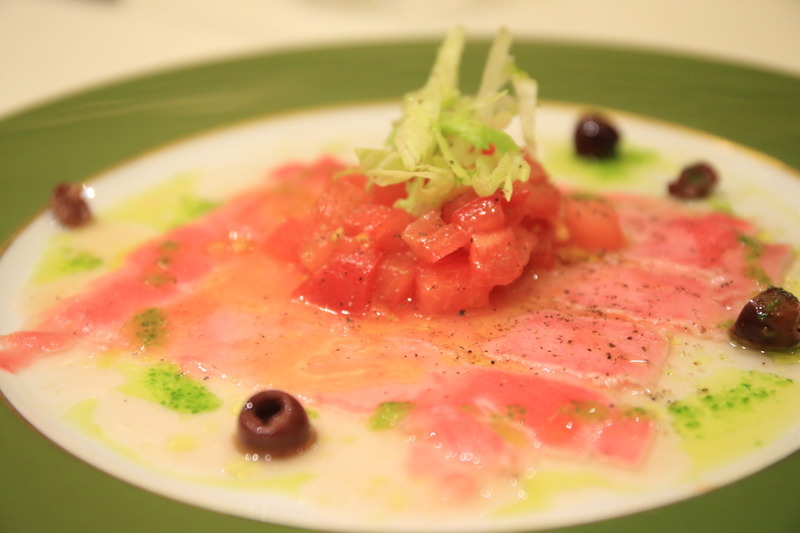 Thinly sliced tuna Carpaccio、With fresh tomato and olive sauce vinegar! 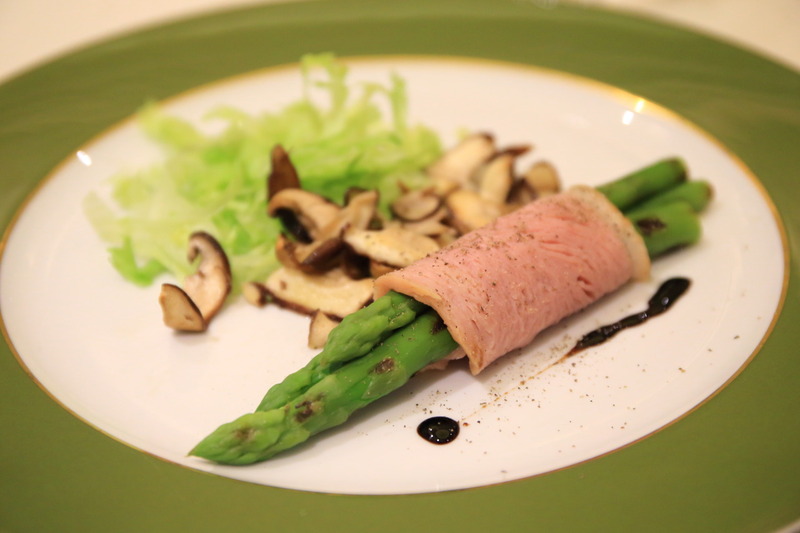 Roasted green asparagus wrapped in smoked goose breast、Vegetables with mushrooms.。You will be in a balsamic vinegar sauce! 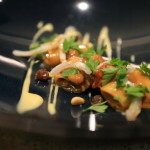 -Soup "minestrone of seasonal vegetables. 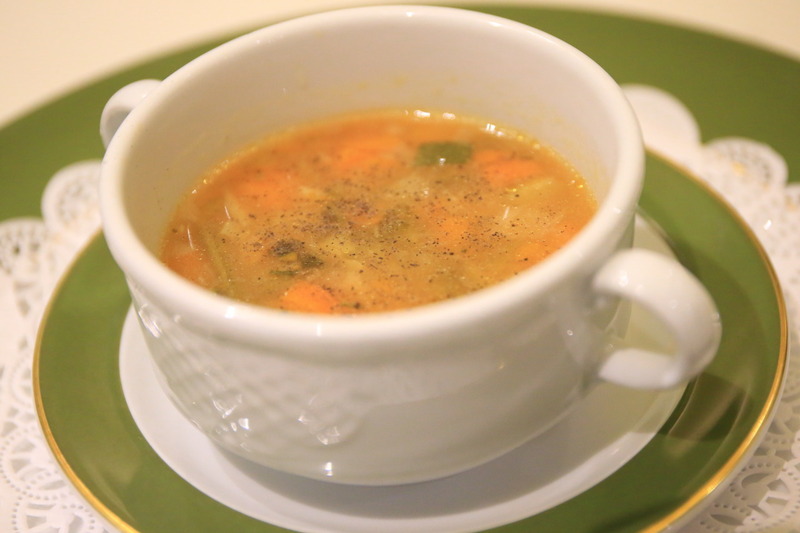 Simple Minestrone Soup cooked seasonal vegetables! 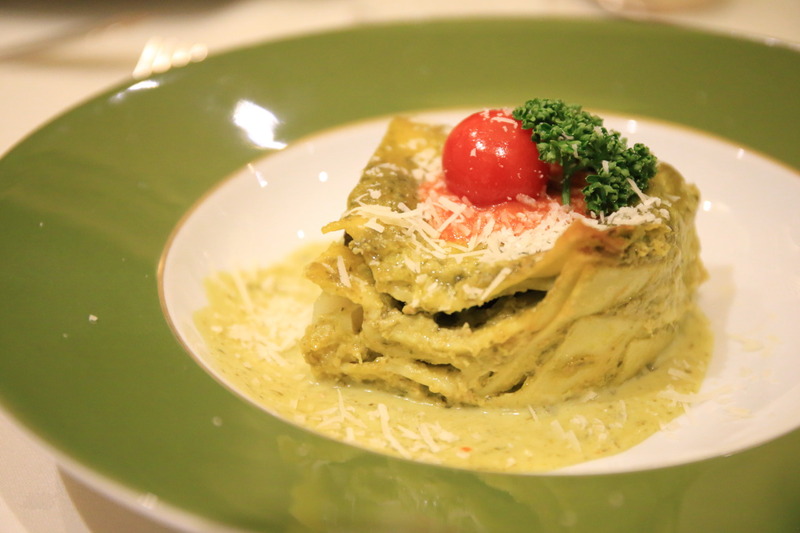 Port Portofino lasagna、Become a layer of egg pasta、Parmigiano-Reggiano over pesto sauce! 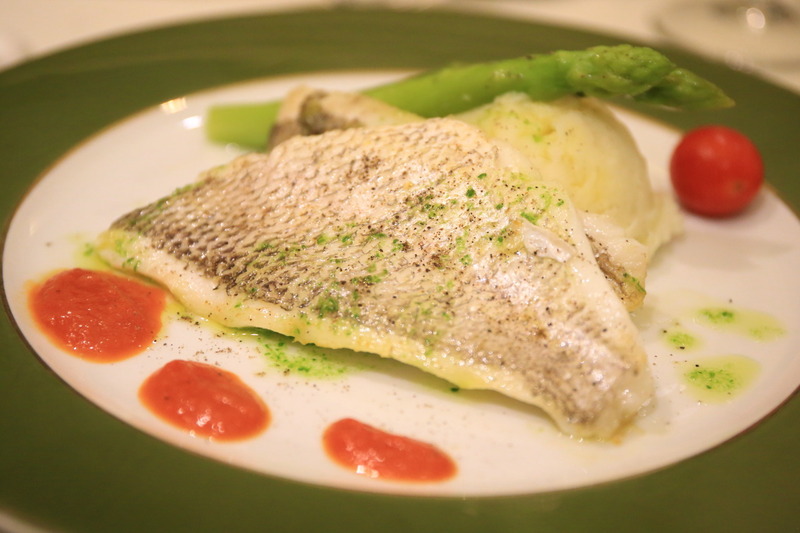 -Main "grilled sea bream fillet"
And grilled red snapper fillets、Tomato and asparagus、Served with mashed potatoes! 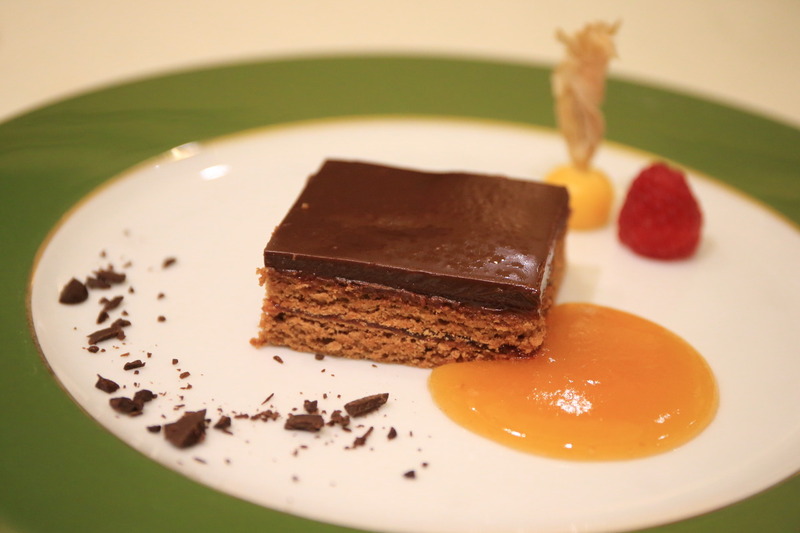 Australia chocolate cake、Served with apricot filling、Enjoy with a coffee! 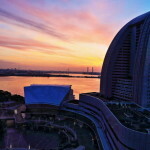 Ever-changing sky at dusk with Abaza greeted a fantastic night、To finish the meal、Pier all glittering neon lights! 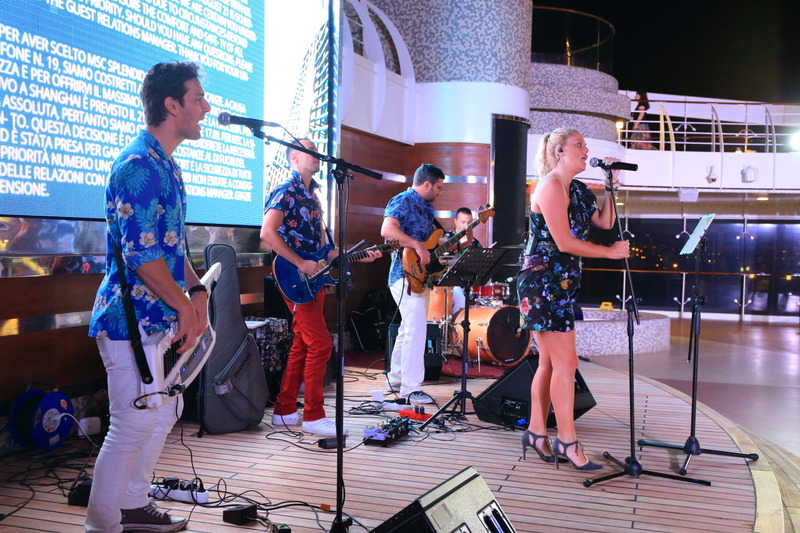 'Groove Island Band"dance music live held at the central deck deck 14 Aqua Park (water park)、And the live feeling of openness on the rooftop. 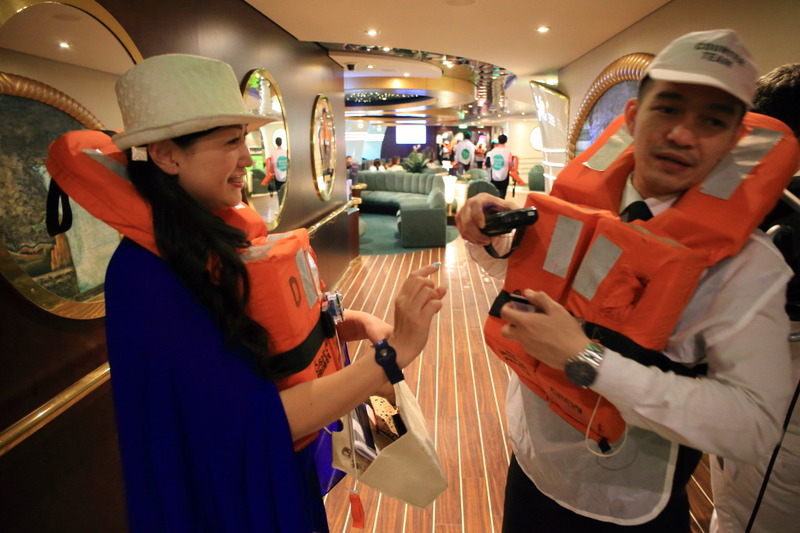 Before departure、To all passengers when it comes and say emergency evacuation drills are required by international maritime safety laws、All initiates attend drills! 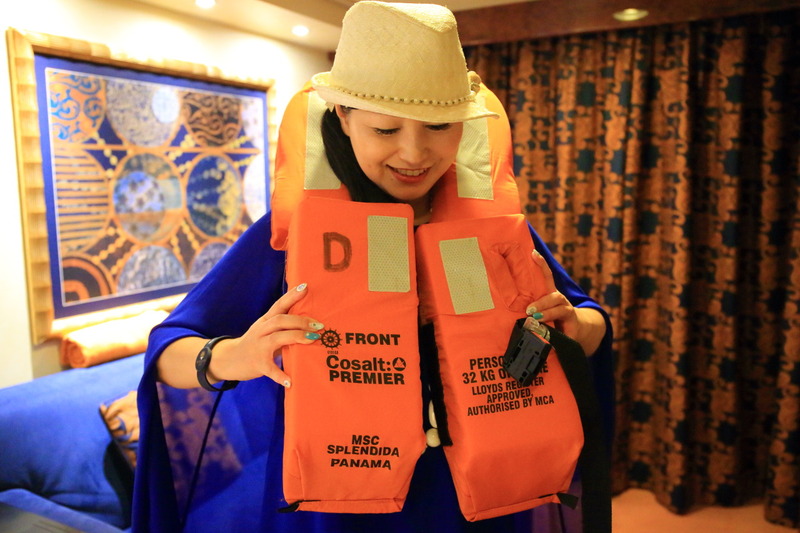 Flowing with the emergency alarm blaring on board announcement (Chinese、Japanese、English) in accordance with the、Life vests in each cabin to see attached、Emergency evacuation sites are listed for each cruise card (we are”D”) To hurry! 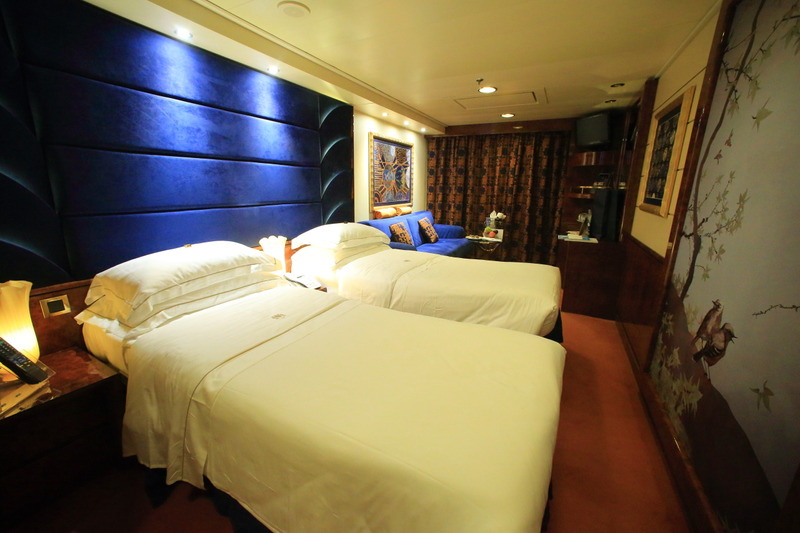 However,、In each booth crew will guide the evacuation routes、Support for peace of mind and trust、It is calm and can act! 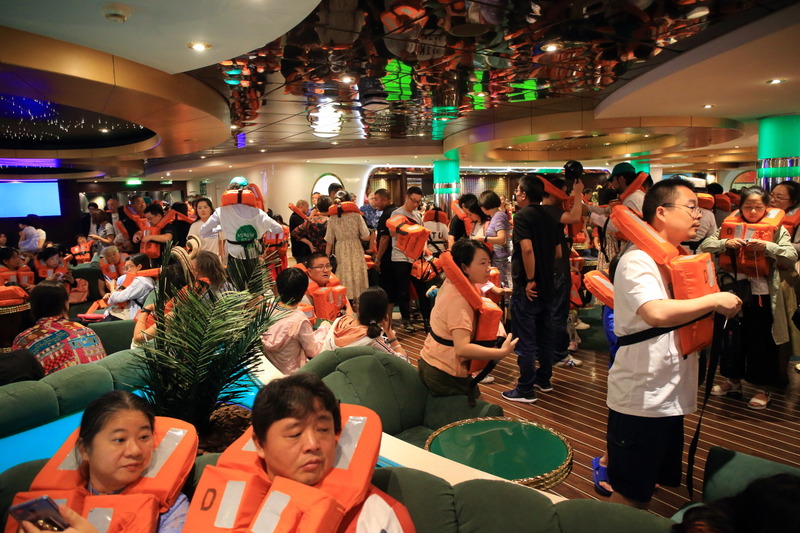 In 2000-is a big move 3,000 people from、Panic、Cool cope、Still, the prior training is indispensable! 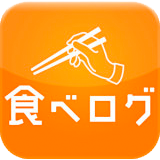 After training、Celebrated the departure time! 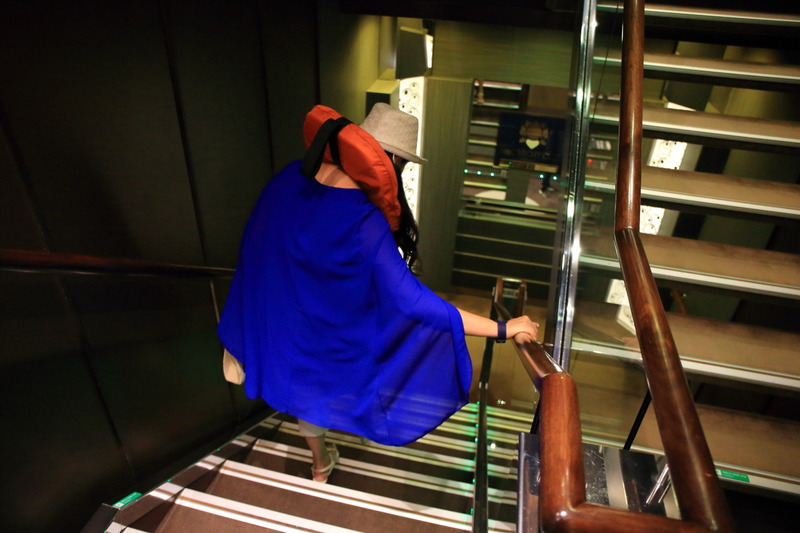 Turn-down service was made back to the cabin! 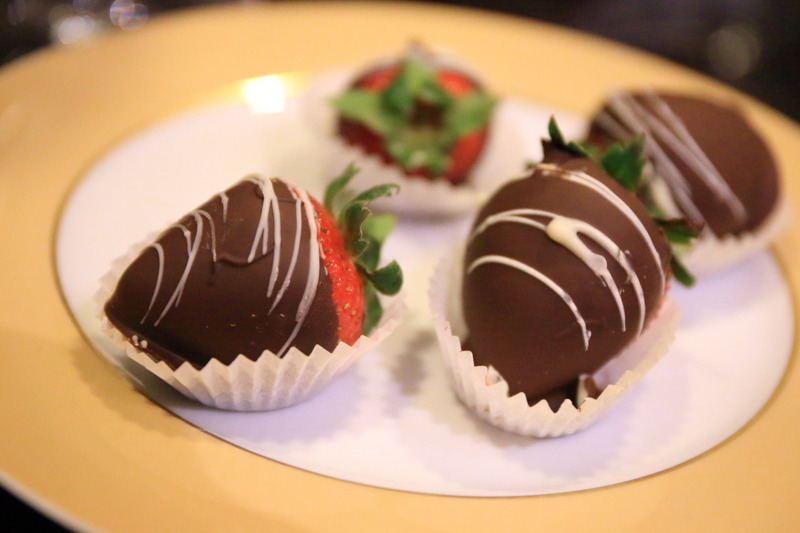 Chocolates on the pillow、In the table、Prepare strawberries racks on chocolate! 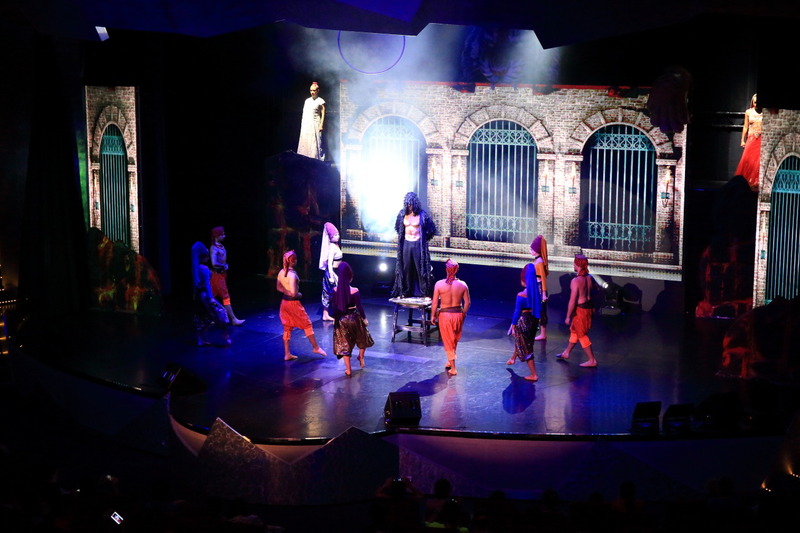 On board are being held nightly variety entertainment show、On this day、At THE STRAND THEATRE (Strand Theatre) on deck 6/7、Watch a performance of THE PEARL OF LABUAN to send Jin Felipe! 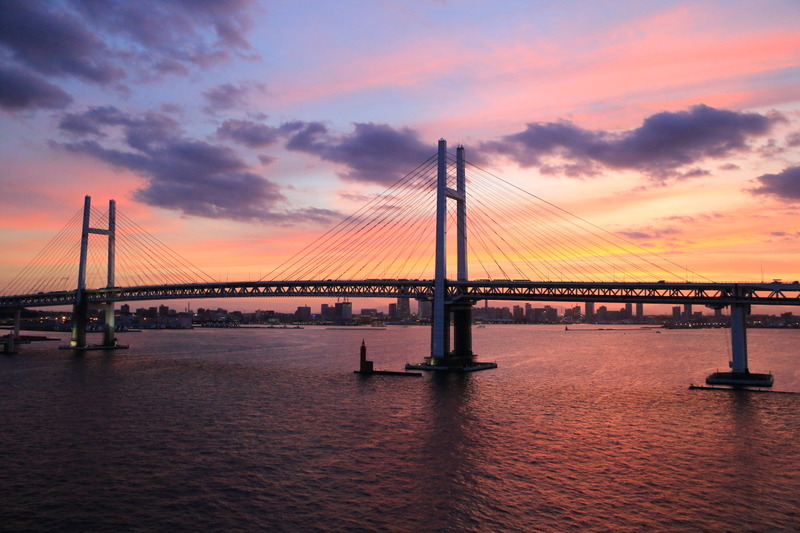 Wanted nightcap drink before going to bed、Go to the top sail lounge dedicated Lounge、Moist and Moody atmosphere has changed、You can enjoy live piano music! 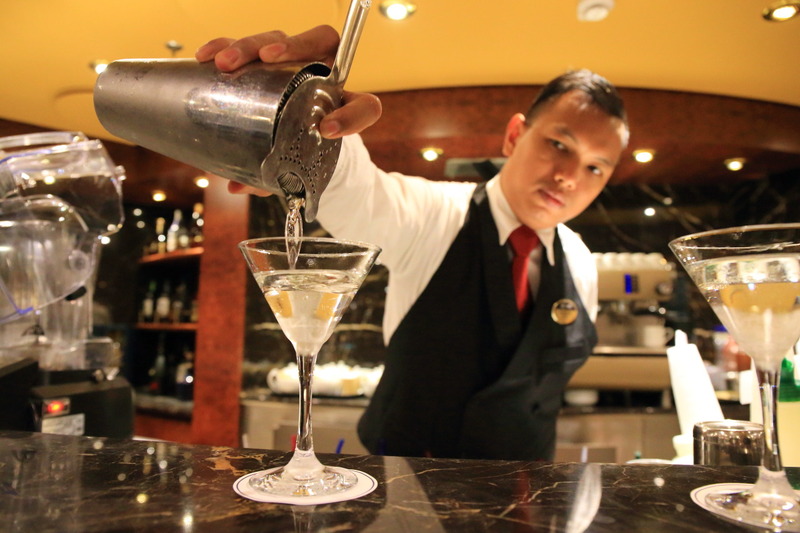 Myanmar waiter when ordering special cocktails-Kun Sohn (KYAW SOE HAN) a nice smile and、Specification James Bond vodka "Martini" made! 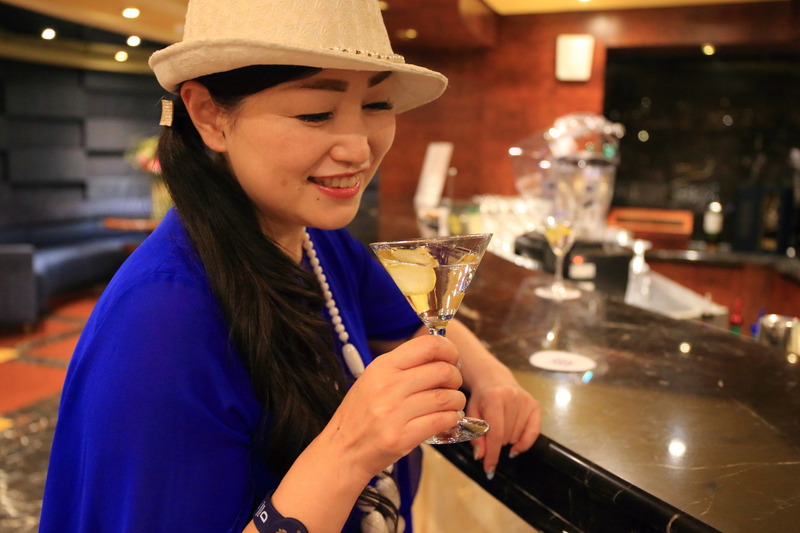 Is there high-alcohol vodka、Finish up with vodka and shake the Martini the original Gin base and steer by、And light designs、The refreshing taste! 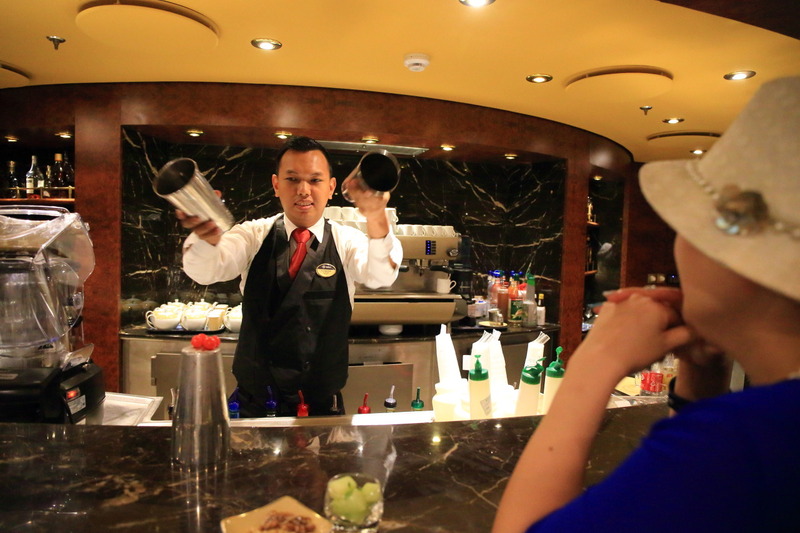 Bartender Sohn-Kun、Good at any little bit of magic、She sang one after another and magic using a Shaker! 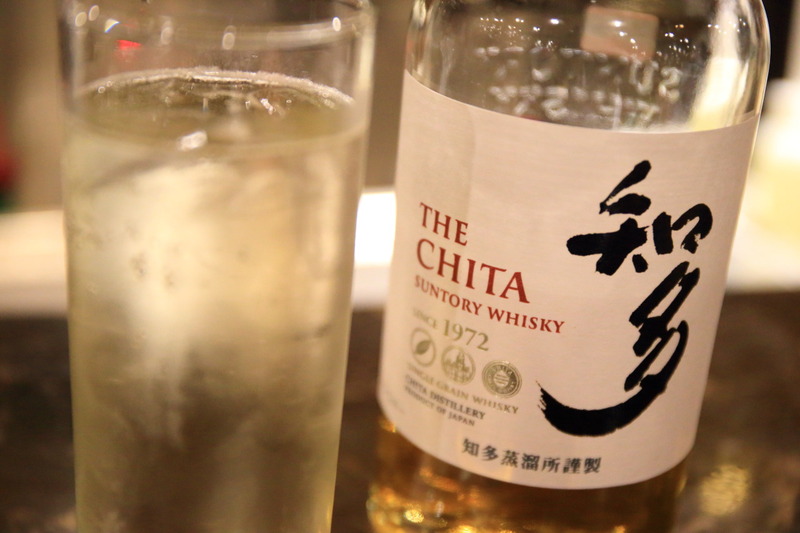 Afterwards、Japan's whisky 'Chita', spumante "Alta Langa DOCG Extra Brut Metodo Classico" and I'm looking forward、I was able to fully enjoy the night! 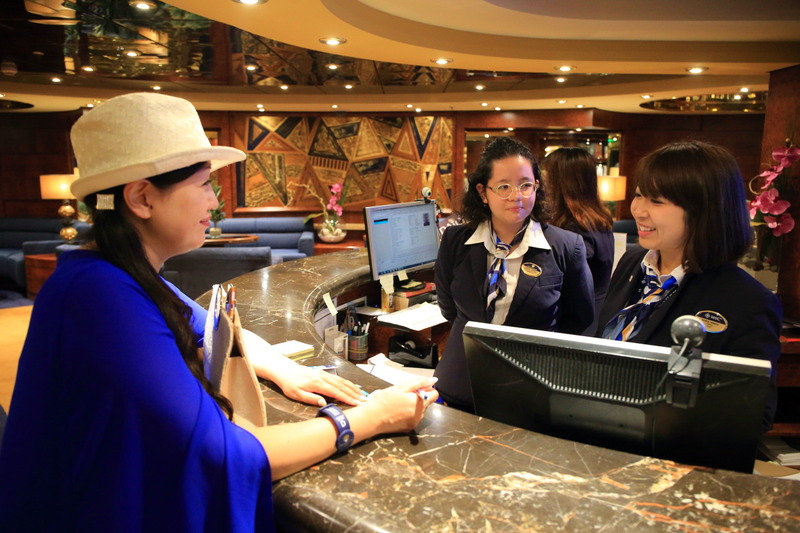 Ship to know feel free to let us staff at the Concierge Desk. 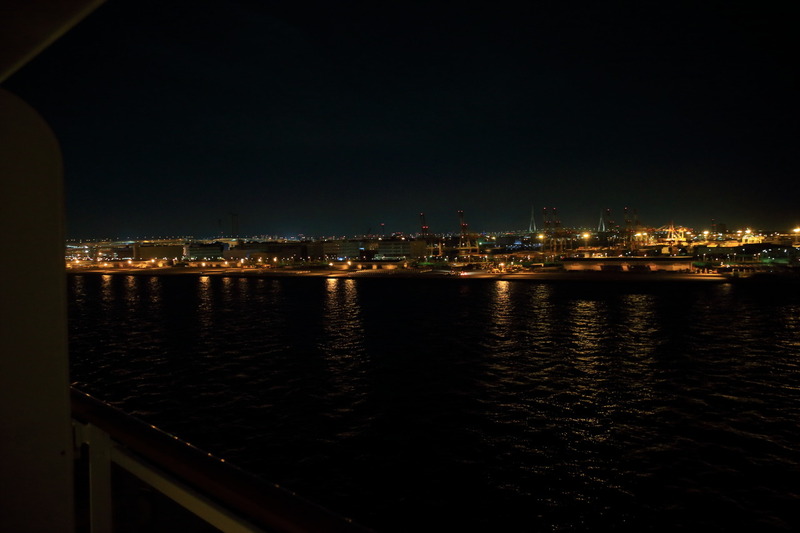 Fluctuation of the sea absolutely without care、Micro wave faintly hear bedtime time pleasant and graciously!